(up to 150 sq. ft.). Paradise Carpet Cleaners, Inc. is a family-owned and -operated business, providing high-quality carpet care solutions to customers in and around Newport, OR since 1997. We are proud to provide local-area homes and businesses with superior cleaning services and customer service experiences. For more than two decades, Paradise Carpet Cleaners, Inc. has been offering the most extensive carpet cleaning services in and around Oregon’s Lincoln County. We take a tremendous amount of pride in our ability to deliver high-quality carpet cleaning services to each and every one of our clients. Our mission is to leave you with carpet that looks, feels and even smells fresh and clean! We’re capable of servicing both commercial and residential facilities, and we take on jobs of all scopes and sizes. You’ll never have to worry about a lackluster job, either. We stand by the quality of our work—if we don’t provide you with the most thorough carpet cleaning in Newport, OR you’ve ever received, your cleaning is free! Beyond just freshening up your carpets, our team also provides a wide variety of general cleaning services, including upholstery cleaning in Newport, OR. We also work on grout, area rugs, ducts and furnaces, and provide water damage restoration. Rely on our talented team of cleaning experts to leave your home or commercial space looking better than ever before, free of microbes, allergens and other detractors. We are proud to be certified by the Institute of Inspection Cleaning and Restoration Certification (IICRC). For the best in carpet and general cleaning services, with results you can see, feel and smell, put your trust in the Paradise Carpet Cleaners, Inc. team. We guarantee the thoroughness of our cleaning services. If we don’t meet your expectations, we’ll come back and finish the job or your cleaning is free! Our carpet cleaning technicians are trained against the standards set down by the Institute of Inspection Cleaning and Restoration Certification (IICRC). Our company is fully licensed, bonded and insured, and we have an A+ rating from the BBB Northwest. We have been family-owned and -operated for more than 20 years. Our business is built on pillars of quality and integrity! To show our appreciation, we offer discounts to military service members, veterans, and senior citizens. 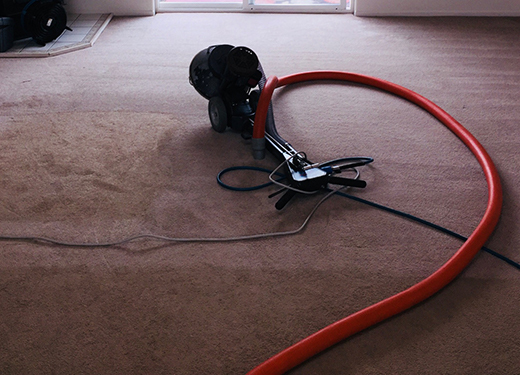 Ensure your home or business is looking its best by investing in high-quality carpet cleaning. Contact us today to learn more about our service guarantee and our cleaning capabilities.